The weekend just ended at the Monza circuit was really good regarding the results. 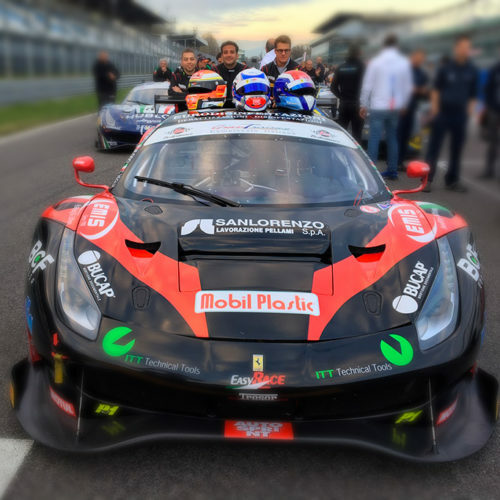 Daniel, in fact, with his teammates Veglia and Cioci concluded this first appointment of the Italian GT Endurance Championship in second place. In qualifying, the break of an ABS sensor on the Ferrari 488 Gt3 caused many troubles to the Easy race team, making the car difficult to handle during braking and forcing them from the 9th position. During the race on Sunday, the weather conditions were very variable, forcing Daniel to mount the rain immediately after alignment on the starting grid. After 6 laps the track started to dry out so the Italian driver opted for a tire change with slick, but after about 10 laps he had to reassemble the rains due to rain. 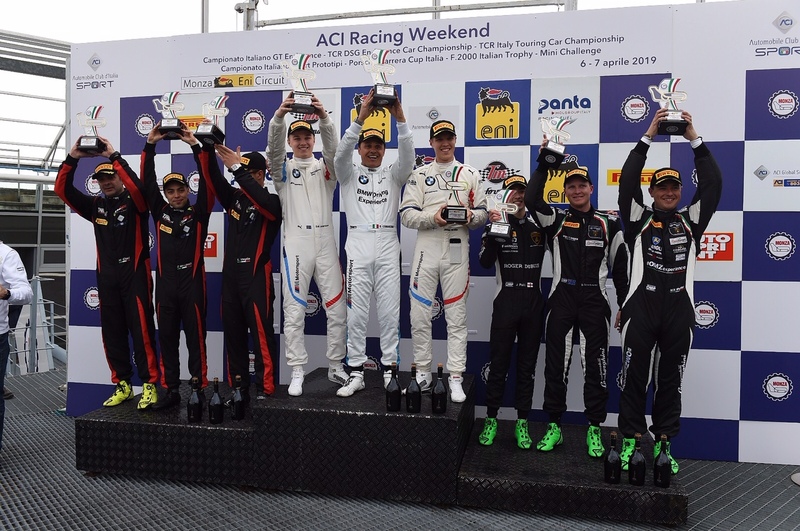 The first hour of the race saw a continuous swing of sun and rain, which in any case didn’t prevent Mancinelli from making an excellent comeback and delivering the car to his teammate in 5th position. Veglia, back on the track, immediately imposed an excellent race pace, managing to gain two more positions and delivering the car to Cioci in 3rd position. In the last hour of the race, Cioci, on a dry track, managed to keep the 3rd position steady and thanks to a problem with the Ferrari of Fisichella he closed in second position behind BMW.